By Dean Stephens Last updated Nov 26, 2018 We may get a commission for purchases made via our links. Here's why. The sheer amount of time that is being spent developing man-toys, gadgets, and general life-hacking tech. Whether you’re a guy who loves going outside, staying in, partying it up, or putting your mind toward something creative, rest assured, there’s a toy out there for you. These are our picks of the best and most entertaining toys for men on the market today. 10 minutes of solid flying time? Check. Available for 20 bucks? Checkmate. And the best part? It’s rechargeable fun. Virtual reality is no longer merely a figment of the imagination of old sci-movies. VR has arrived and it’s here to stay. 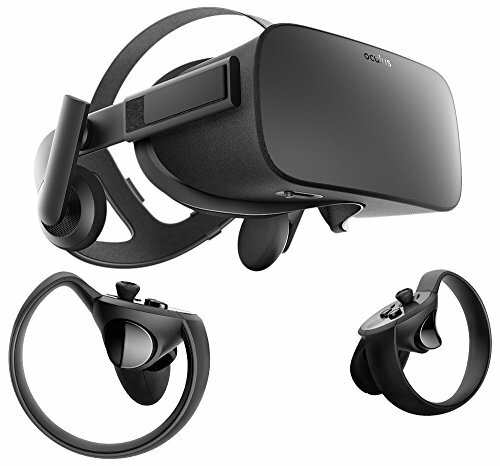 As long as you’ve got a computer with the specs to handle it, the Oculus Rift is one of the best ways to experience VR out there. It really does immerse you to the point of feeling like you’re in a different world. Just try not to kick your cat while you’re at it. Here’s how you play it. You get home from work before your wife. 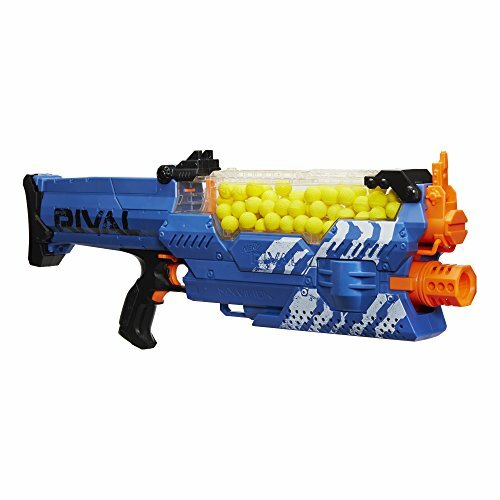 You leave one Nerf Gun out on the kitchen bench with a note—“Arm yourself. Loser makes dinner”. You take the other Nerf Gun, load it, and take your position. 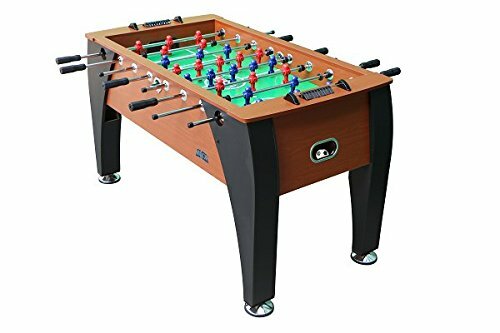 Who doesn’t love a game of foosball? 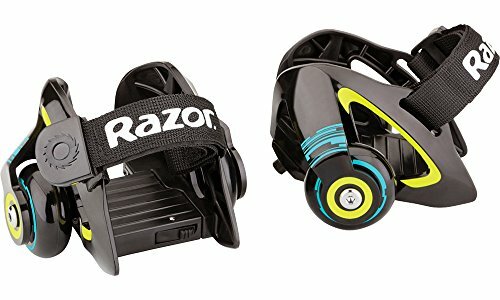 Perfect for hours of 1vs1 or 2vs2 entertainment for when your buddies come over. KICK is one of the best brands in the business. They’re well known for producing high-quality tables that don’t cost the same as a small car. 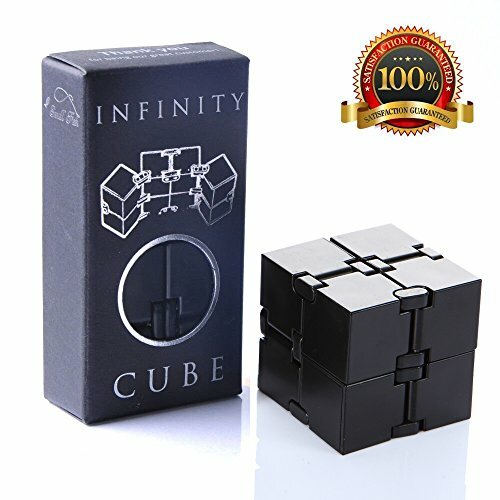 If you’re a knee tapper, pen-biter, hallway pacer, or any other type of fidgeter, this little toy could be a game changer for you. It’s solidly built, and you can manipulate it with one-hand. It’s great for helping you to focus your attention on work and can even help to reduce your anxiety. 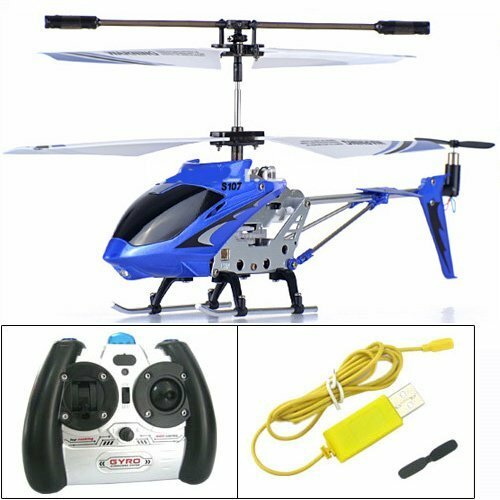 This is another awesome toy to bring the whole family together. Hey, even your extended family can join, it’s meant for 4-32 players. It’s pretty much a video game that’s come to life. 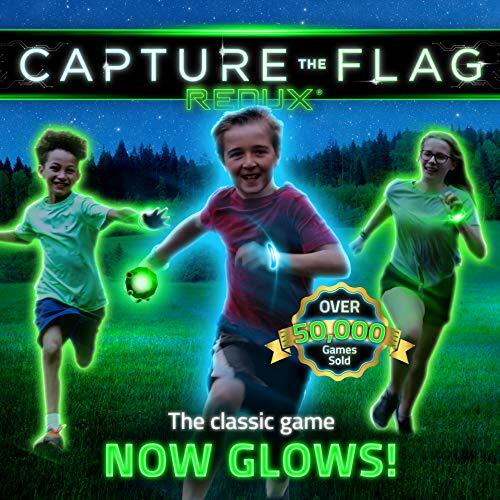 Think paintball, lasertag, and airsoft, all rolled into one. Super easy to learn and so much fun to play at night. 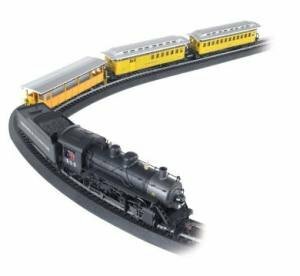 We all know that a Christmas tree isn’t really complete without a train circling around it. And if you’ve ever thought that you definitely would’ve been a late-Victorian train driver in another life, then this should be your toy of choice. Sometimes the simplest toys are the most fun of all. Giant Tumbling Timbers are just that. Giant blocks of wood. 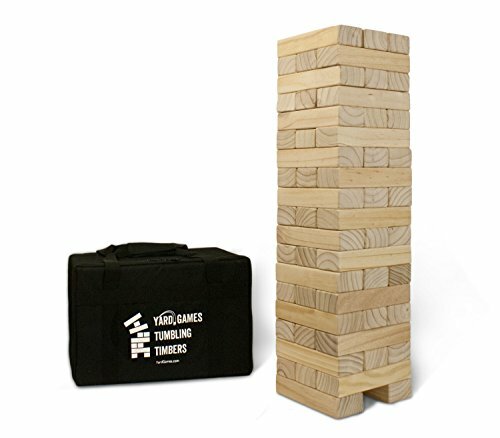 But if you’ve never played before, you’ll be surprised at just how suspenseful it is trying to balance a block on top of a stack that’s a wobbly 4-feet high. All while the rest of the group is “ooooohing” in unison, anticipating your glorious failure. It’s a blast and a great BBQ game. Relive your childhood frustration all over again as you try repeatedly to get that stupid frog across the road. 80’s arcade kids, your glory days have returned. The Raspberry Pi will take some setting up, but it’s worth it. 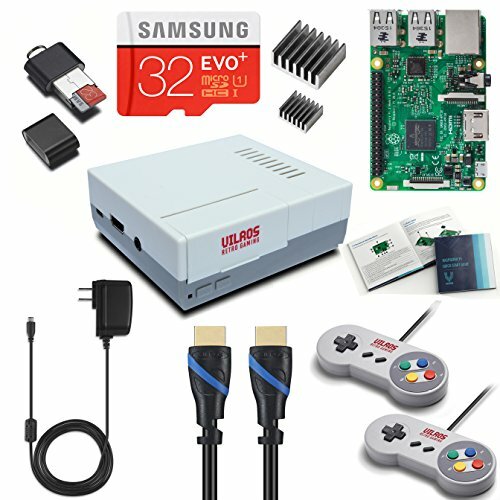 Play all of your old favorites solo or with a friend on the NES, Genesis, SNES, Nintendo 64, PS1, and plenty more. Tired of no one believing you that you nearly caught that Blue Marlin? 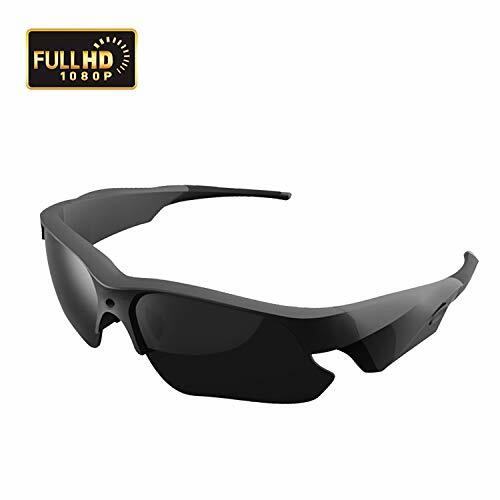 Strap these bad boys on, press a button, and you’ll record a video of whatever you’re looking at. In crisp 1080p video and audio. You’re at the airport, you look down at your ticket, and then back up at the directions to your gate. 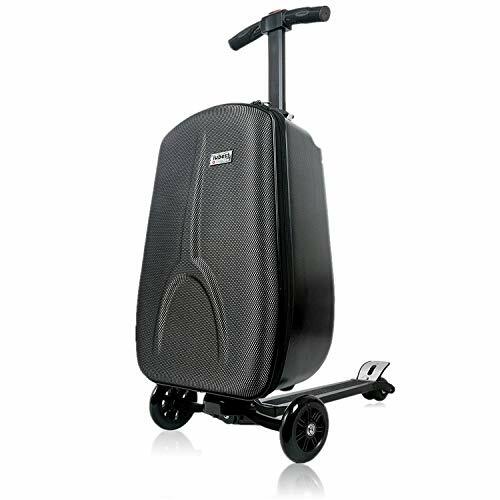 You’re lugging around a heavy carry on and a heavier suitcase. And you’re looking at a good 2km of walking. “If only I could ride this thing”, you sigh. These intricate working mechanical models will suit any guy who loves a brain teaser. Made entirely out of wood and requiring no glue, they look like some charming Wes Anderson set piece. They’re high-quality, genuinely challenging, and the finished product looks jaw-droppingly cool. Alright, you had to know that a drone would propel its way onto this list. 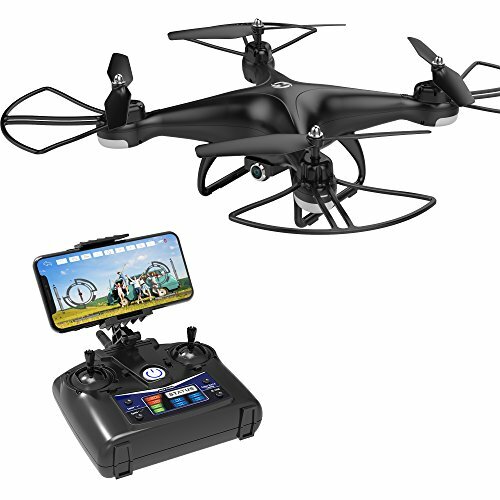 Holy Stone are renowned for producing highly accessible drones for beginner flyers, and the HS110D is one of the best sub $150 quadcopters on the market. It takes great quality videos in 720p and with minimal flicker. And its wide-angle camera means you can easily fly it in first-person view and capture stunning photos. At this price point, there’s really no reason you can’t be a drone guy. 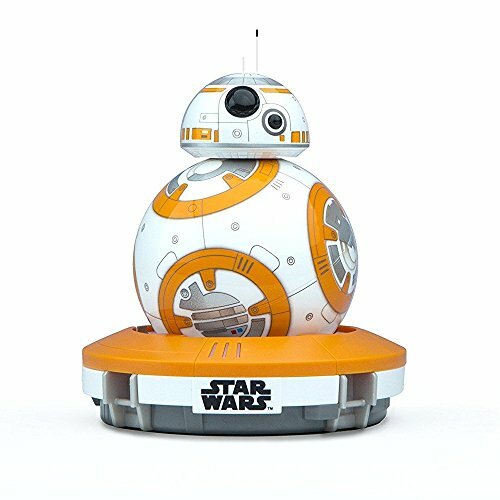 I always walk out of seeing any new Star Wars film wishing I had a droid. BB-8 was the breakout star of the first of the new-generation Star Wars films, The Force Awakens. And because your life wasn’t complete before, now you can control him using Bluetooth. And to think I grew up with a wired remote-controlled car. “It’s 2018, where’s my Hoverboard?” says every wiseguy who’s ever seen Back to the Future II. Well, I’ll tell you where. It’s in the water. If you grew up as part of the golden slot car generation, this one’s for you. 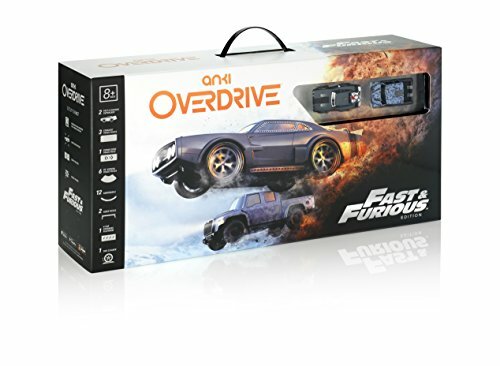 This starter kit from Anki has everything you need to get started on your first track. And they offer heaps of upgrades if you get into it. These kind of racing toys are hard to beat for that old-fashioned father-son or grandpa-grandson bonding experience. It really doesn’t matter how old you are. You could be greyer than Father Christmas himself and laser tag will still be fun. And as you’d probably expect, Nerf have nailed the fun factor with the Phoenix LTX Tagger. They’re not like the ones you might have played as a kid. 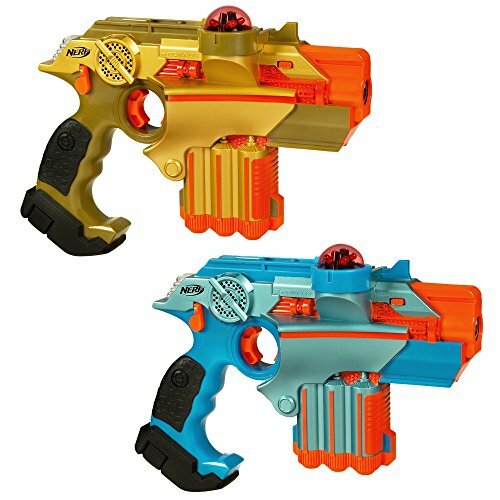 These have all kinds of features like shields and ricochets to name a few. And if you’re playing with your kids, you can even give yourself a handicap to make it fair (or you can start teaching tough lessons early, your choice!). Because snowball fights are fun. But indoor snowball fights are even better. 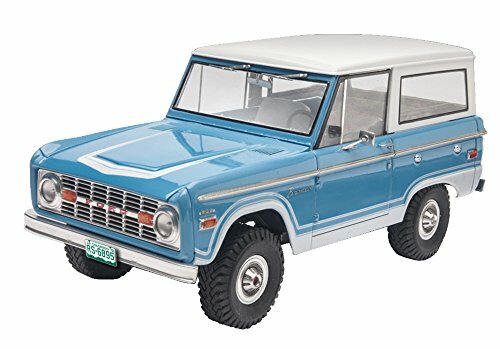 Whether you’ve ever owned a Bronco or not, if you’re into model car building, Revell do it the right way. You’ll need to pick up the paint, glue, and tools separately. But this is a highly authentic model that’ll take you quite a few Sunday afternoons to put together. And the end result? Pure satisfaction. If you’ve ever been intrigued by Healys, these will be right in your wheelhouse (pun unavoidable). 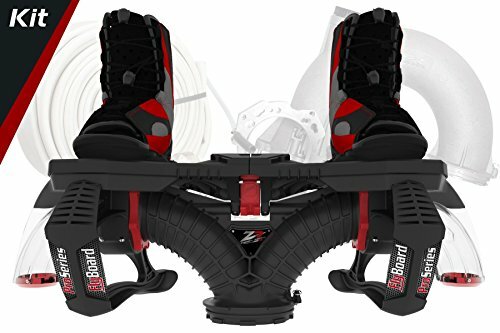 Heel Wheels will support adults up to 220 pounds. And once you nail your technique, you’ll feel like you’re floating. 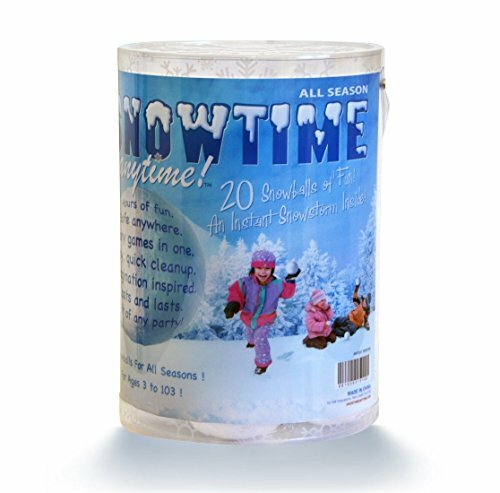 They’re a great alternative to roller skates, and if you have kids, they’ll obviously love them as well. Make golf a whole lot more fun by sorting out your short game. 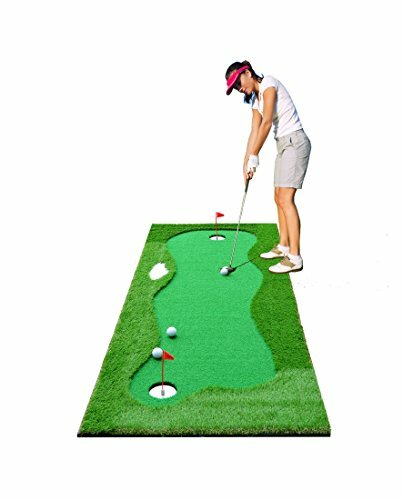 And what better way to do it than with your own personal putting green in the comfort of your own home? This one from 77tech is one of the best out there. It’s big, it’s durable, and it actually plays like a real green. You’ll turn those 3-putts into 2-putts and better in no time. Have you always been interested in learning to code but you’ve never known how to start? 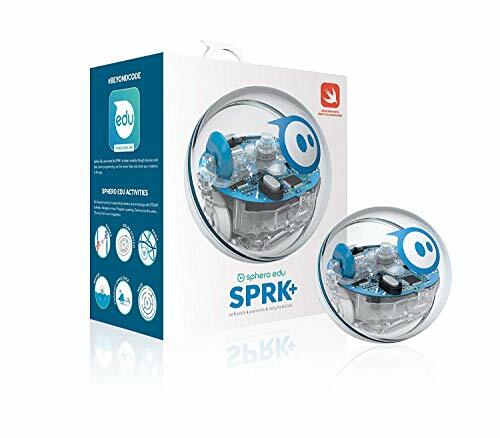 This little robot plus app combo is an awesome way to do just that. With a hands-on approach, you’ll learn a range of programming languages, regardless of your initial skill level. It’s fun and engaging and even links to your Kindle. These days, any activity that drags you out into the fresh air should be worthy of your consideration. 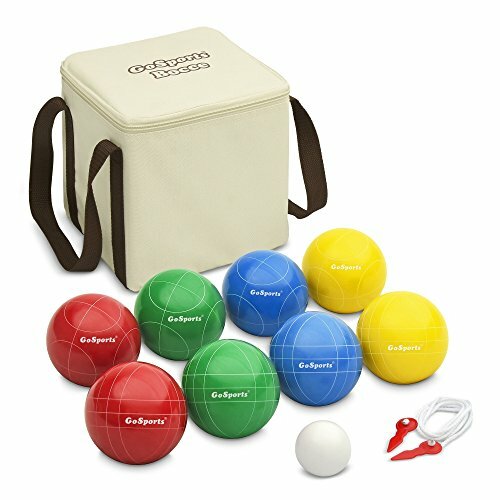 Bocce is a cool little game that anyone can play. If you haven’t played before, it’s kind of like lawn bowls, but you throw the balls instead. This set from GoSports has a good weight to it (which is what you want) and is known for its durability. Want to try out VR but not quite ready to stump up the cash for Oculus Rift? The BNEXT is an excellent starter choice. You don’t need a powerful computer or a huge budget. 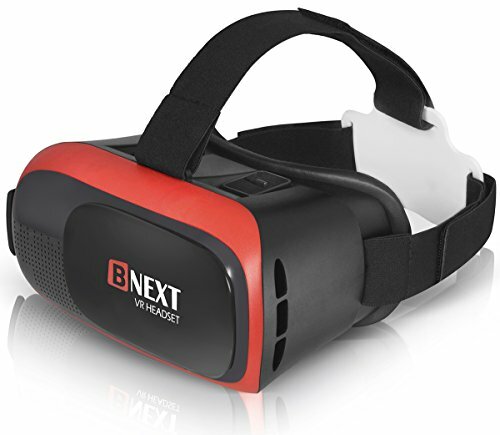 Whether it’s playing games or watching movies, this thing turns your smartphone into a completely immersive virtual reality experience. And it’s a lot of fun. Again, try not to kick the cat. Remember watching those 80’s movies where they’d show people of ‘the future’ bringing cool stuff to life within magical little boxes? Well, the future has well and truly arrived. 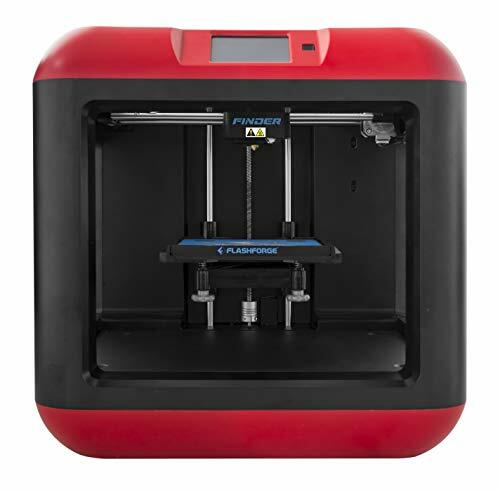 The FlashForge is an easy-to-use but powerful 3D printer. It’s perfect for a beginner because it’s genuinely plug and play. Our word of advice—like anything—the more you print, the better you get at it. Put some time into your printing efforts and you’ll be rewarded. Suffering from stress or struggling to focus? Coloring in isn’t just for kids. It’s actually a well-known stress reliever. It takes thought and planning and so it helps you to focus for long periods and gives you a sense of accomplishment when you finish a page. Give it a try before you knock it. 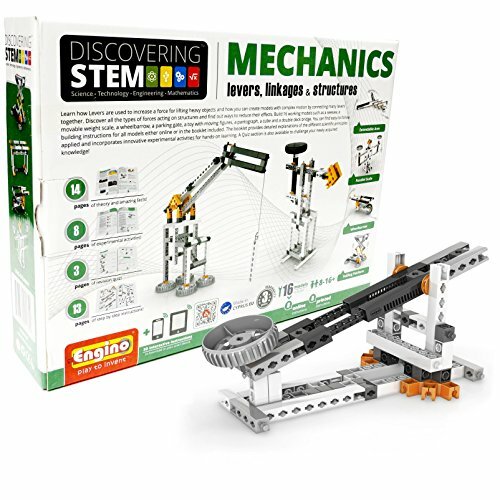 If you’re into science or engineering then this awesome STEM building kit will get your mental muscles working. 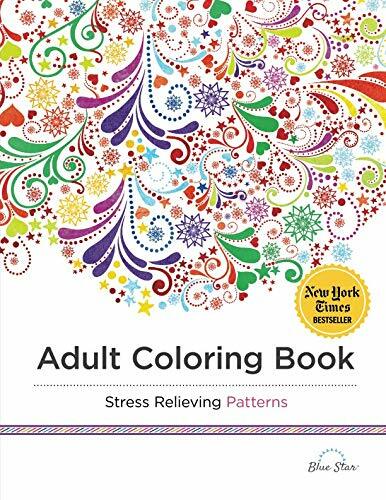 Much like the coloring book, it’ll take some focus—but the end product is always rewarding. 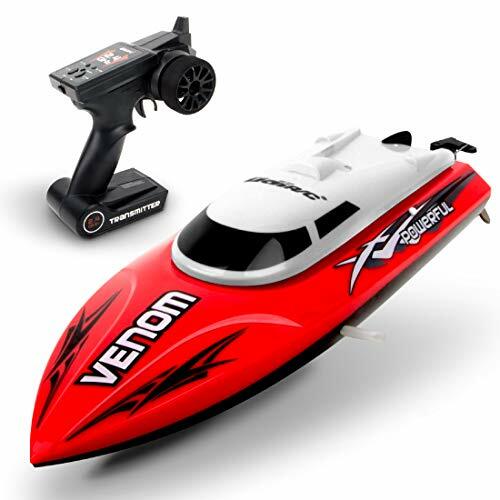 RC boats are fun. Pure and simple. Especially if you’ve got a couple of them so you can get a friendly (or not so friendly) lake race going. Pro tip: these Venoms go super fast but the trade-off is the batteries don’t last that long. You’ll want to have some spares on hand to get the most out of this one. 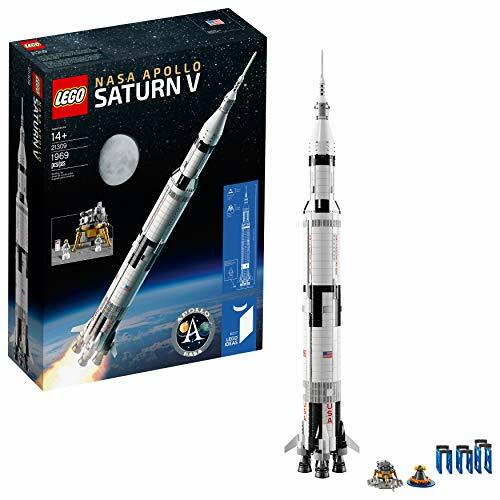 What do you get when you combine LEGO with an accurate and detailed Apollo Saturn model that’s challenging to put together? You get this kit. And it’s awesome. And whether you’re reminiscing your LEGO-obsessed childhood, or you’re an existing LEGO fan, you won’t be disappointed with this bad boy. This one isn’t a builder, but if you’re a true Batman fan, that’s not what it’s about. 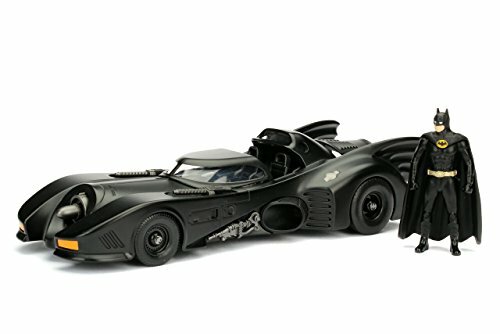 This classic 1989 Batmobile is solidly built and has some interesting features like a cockpit and rear panel that you can open, flip around machine guns, and even a mini Batman. Arrested Development fans will appreciate this last one. Steve Jobs once said that the Segway would be “as big a deal as the PC”. 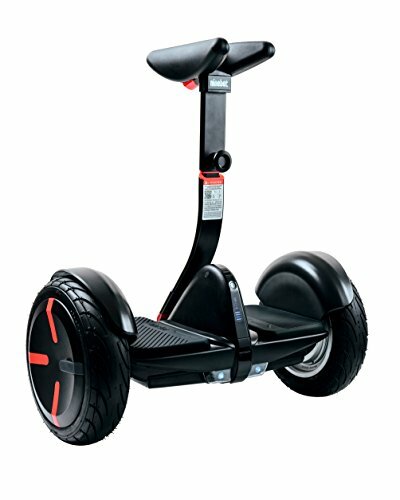 And while he then flipped on the statement after seeing its early designs, there’s no doubt that the latest iteration of the Segway is a boy’s toy that’s worth another look. 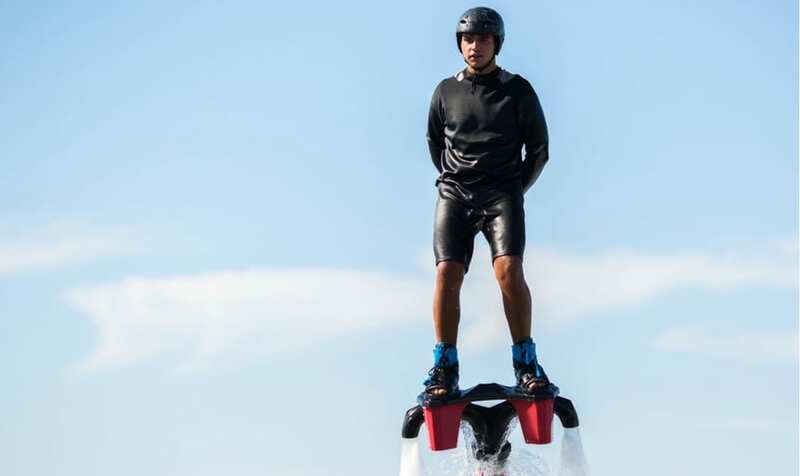 With a 10mPH top speed, there’s no doubt that riding a Segway can be a lot of fun. Plenty of toys for men of all ages and interests. And as you’re reading this, you can be sure that there are inventors out there working on all sorts of new and exciting gadgets, games, puzzles, models, and well, toys. And the immense competition for innovation means that each new one is more cutting-edge than the last. And we’ll be keeping a close eye on them to see if any are worthy of our list. Have you tried any of these already? Or do you have a new toy to suggest? Chat with us about it in the comments. You might also like to check out our list of the 101 Best Hobbies for Men of All Ages.